9 December 2006 – 17 June 2007, Room 31 – 20th Century Galleries. Showcase display. This is possibly the smallest exhibition I’ve ever gone out of my way to see, but I’m glad I did, because it got me thinking about things. It’s one case, with no more than 25 (at a guess) portraits, but there’s a lot of food for thought there. The exhibition is all photographs, all black and white, and all very evocative. The most striking thing about it is that if, like me, you write, you look at these women and wonder what there is that’s like you, and what’s different. This is, of course, both dangerous and utterly pointless, since these immaculate women in (usually)carefully posed photographs from the early 20th century are worlds away from us – much further, of course, in person than in their work, which remains relevant and is enduringly enjoyed. 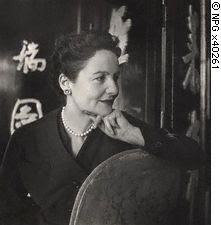 Nowadays writers are stereotyped as people who sit at their computer in their pyjamas all day; then, they seemed to have beautiful studies in country houses and always, always wore lipstick. The other thing that struck me is their eyes – or, more specifically, their gazes. The situation of women in the world has often been defined by the (male) gaze, and the relative aspects of womanhood that appear through the gaze. For writers, this is, arguably, intensified. Writers both divert the public gaze from themselves, deflecting it with words, hiding behind their writing. Equally, though, they are opening up to the gaze, becoming public figures (hence these photographs) and revealing themselves through their writing. So what happens to their own gaze? The all-seeing eye of the writer is fanously feared; they scrutinise, dissect with their eyes, minutely examine. Many of the writers featured in this exhibition represent this, with their challenging gaze piercing the camera (for example, Daphne du Maurier). 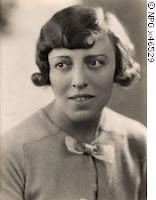 Some look just slightly away, like Dodie Smith. And aren’t you thinking, “Does she look like the kind of woman who wrote 101 Dalmations and I Capture the Castle?” I think so, but it’s irrelevant, because she did. Others appear reticent, however, gazing down or away from the camera, evidently lost in writerly reverie, but perhaps simply being evasive. After all, if you create worlds in books for the public to consume, why would you want to give them any more of yourself? Why not be evasive, not allowing the world any more of you than they have? If the eyes are a window of the soul, maybe that soul needs to be cloistered sometimes. Writers are often very private people, they say, so why expect anything other than a challenging belligerence or an evasive reserve? I think we expect too much of our writers; they are, as these pictures show, only human after all – and perhaps that’s what we need to see.